Frankenstein never looked so lovable. 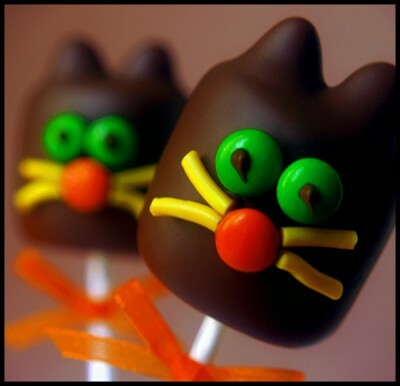 Simple to make and super fun to eat. 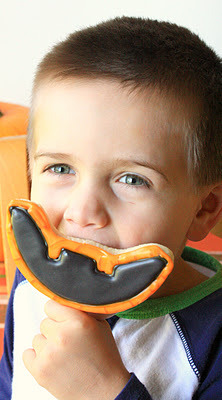 These smile cookies will put a smile on your face too. The idea of combining chocolate and chili pepper has always intrigued me. When I lived in Brazil, there was a very popular soap opera on tv called "Chocolate e Pimenta" (Chocolate and Chili Pepper). As a result of this, at least I'm guessing, there was a chocolate and chili pepper cake mix being sold in the grocery stores. Unfortunately, I forgot to buy a package of it and never did get to try it. 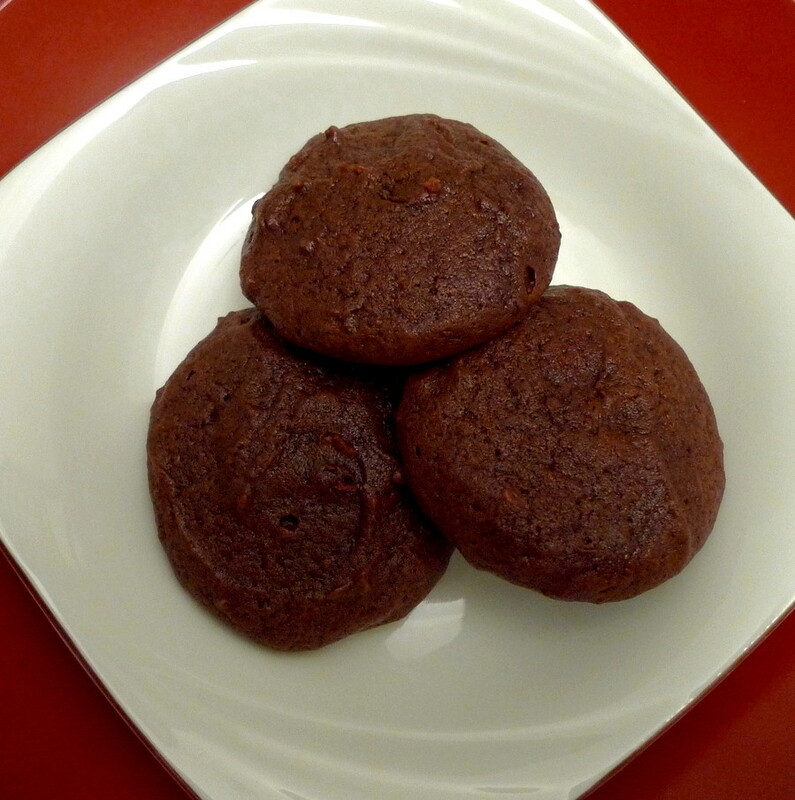 Which brings me to today's 12 Weeks of Christmas Cookies and these treats that combine, what else, chocolate and chili pepper. 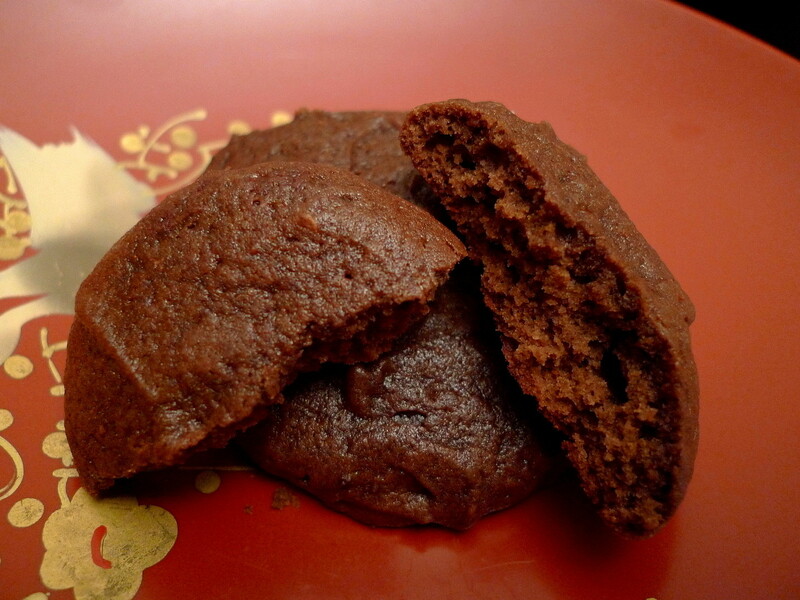 The cookies baked up like little chocolate pillows, soft and cakey. Unfortunately, the taste wasn't everything I had hoped for. I would have liked them to be more chocolatey for one thing. Also, the tiny bit of heat at the back of my throat just doesn't suffice for someone like me who usually thinks that "five-alarm" is just right. I haven't given up on the chocolate-chili combo, though. I'll just have to find another chocolate cookie to try it with. Cream butter and sugars. Mix in vanilla and eggs one at a time. In another bowl, combine cocoa, salt, flour, baking powder, baking soda, and chili pepper powder. Mix this flour mixture into the creamed mixture until just barely incorporated. 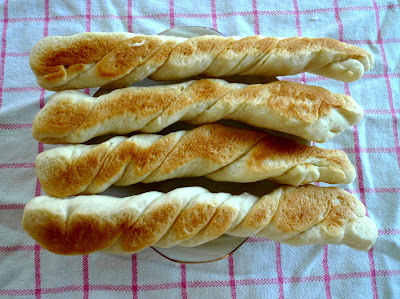 You should still see some streaks of flour in the dough. 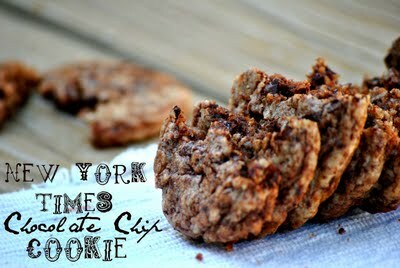 Drop by tablespoonfuls onto a cookie sheet and bake at 350F until just barely set, about 12-15 min. Allow to cool on pan for one minute and then remove to plate to cool completely. 1. The original recipe did us a chopped up Chili Chocolate Bar, which I did not add. Perhaps if I did, the cookie might have been spicier. 2. I used New Mexico Ground chili peppers like Splendid Things did, but I'd probably use chipotle pepper with a dash of cayenne next time. 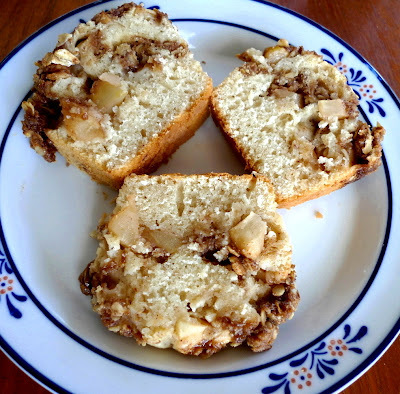 Now that autumn is here, apples are on sale all the time and you know what that means - it's time to bake some apple-y goodies. 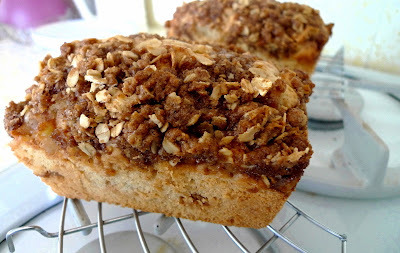 I've had this Apple Crumble Loaf from Sweet Twist of Blogging bookmarked for practically forever and now was definitely the time to make it. This bread was different from other apple ones I've made before because it not only has streusel on top, but it also has a layer of it running through the middle. 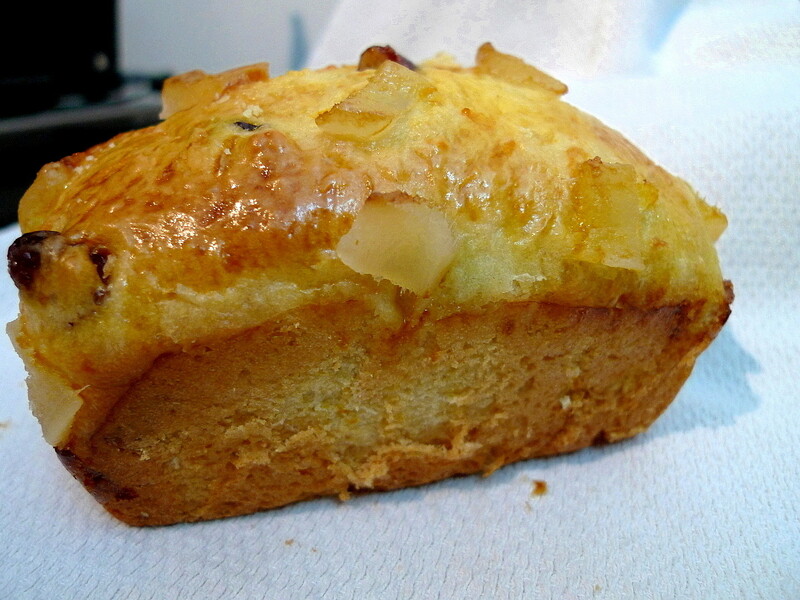 Plus, it also has the apples in layers rather than mixed throughout the loaf itself. I did run into one problem while making these. 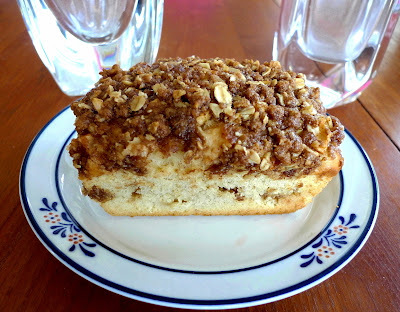 The recipe says to use melted butter when making the streusel. 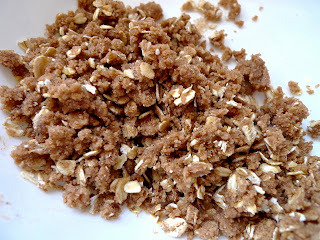 Against my better judgment, I did so and ended up with streusel goop, not at all the "crumbly" texture I was going for. Now is it just me or does this happen to you too? I didn't want to waste it after I'd made it, but I also still really wanted that crumbly look, at least on the top of my loaves. So, I made another half batch of the streusel using chilled butter, and voila! I think this is more what it was supposed to be like. 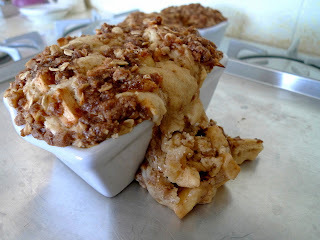 Now you put it all together - batter, apples, streusel, more batter, more apples, and more streusel. We're talking six layers of goodness here. Into the oven they went and baked up beautifully. Well, okay, there was one casualty. I may have put a little too much batter into one of the pans and it overflowed. No worries though, since I had put all the pans onto a cookie sheet. This just meant that I got to eat the scraps which is always a good thing. Now, slice these up and look how pretty it is. And it tastes as good as it looks too. Heat oven to 350F. Grease a 9x5x3" loaf pan or three mini loaf pans. 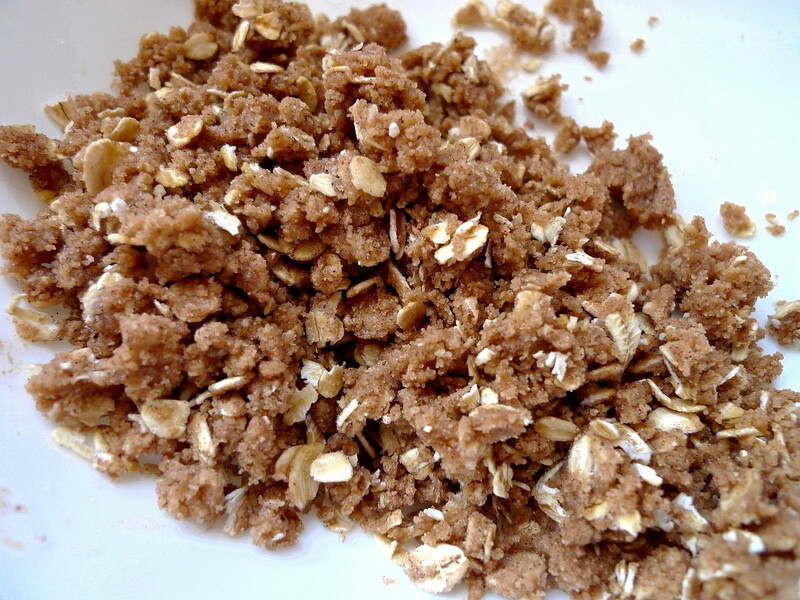 For the streusel: Put all dry ingredients into a medium bowl. Cut in the butter until the mixture is crumbly. 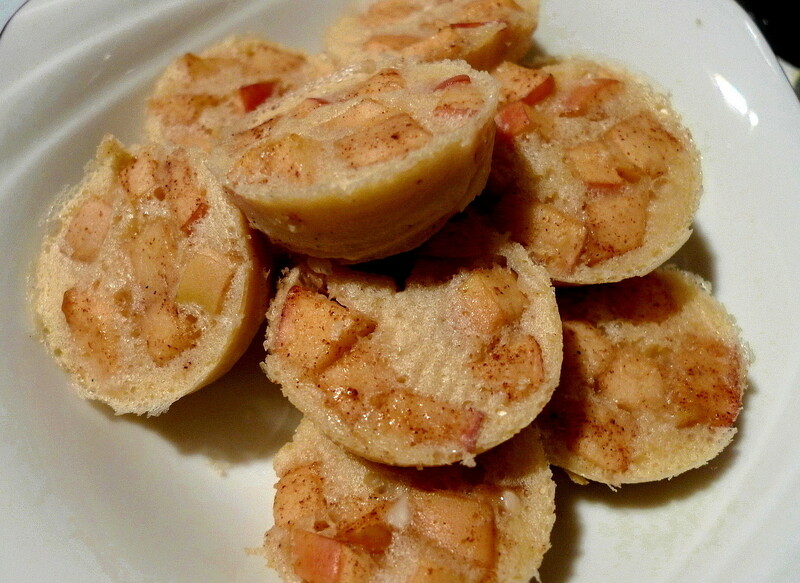 Toss the apples with the cinnamon and sugar. Bake for 1 hour, or until a wooden pick inserted in the center comes out clean. Cool in pan on wire rack for 10 min. Run a knife around the sides; invert the loaf onto a rack and then revert side up. Let cool completely. 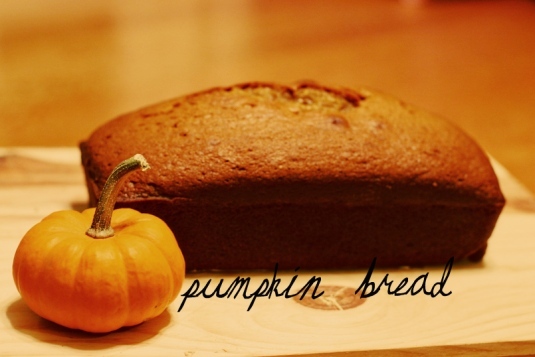 Pumpkin AND spice - my favorites! I'll have some more of these s'mores! Breakfast will never be the same again. 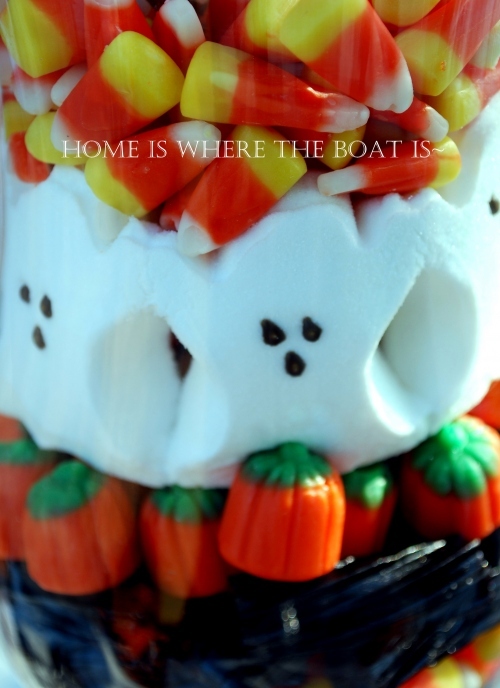 The cutest Halloween idea ever. It seems like Christmas comes earlier and earlier each year. The other day, I was at Macy's and was shocked to see that the Christmas trees were already up and they were selling Christmas decorations. I mean, come on, it's not even Halloween yet. That said, treats are a year-round thing, so I see nothing wrong with trying out recipes in preparation for those Christmas platters and gift baskets. For this week's 12 Weeks of Christmas Cookies, I decided to make Martha Stewart's Iced Hermits. 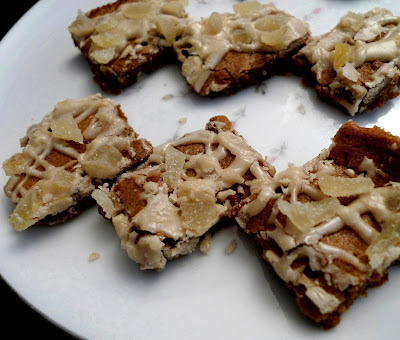 They are loaded with a triple ginger kick - ginger powder, candied ginger in the bars themselves, AND a sprinkling of more candied ginger on top. The final result is oh so good. 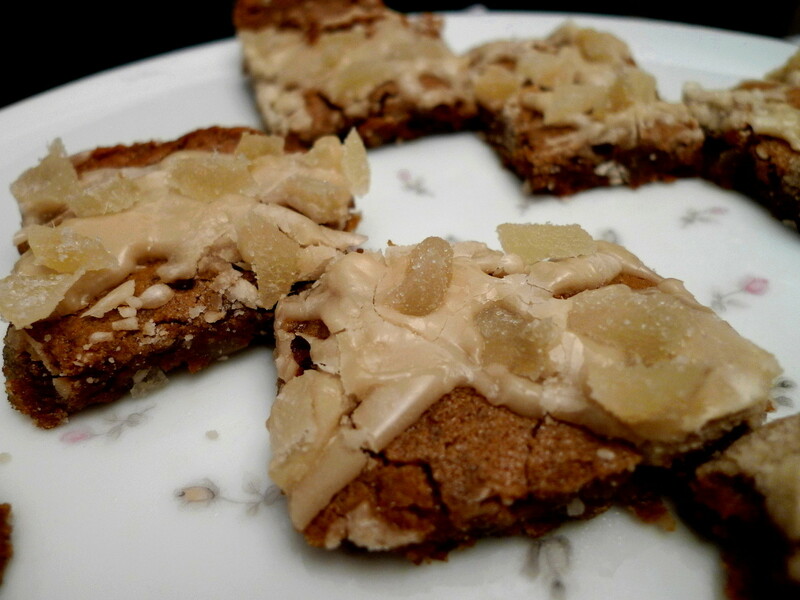 Chewy, spicy bars and the icing is not to be skipped, it is literally the icing on the cake. It all made for a delicious experience. 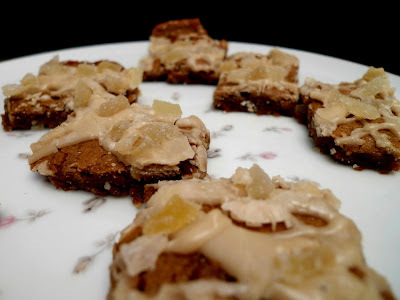 Plus, the candied ginger on top makes them look all sparkly, almost like Christmas ornaments themselves. 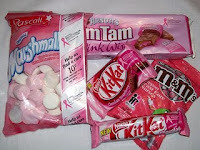 Yes, Christmas in the stores can wait, but as for the Christmas treats, I say bring them on! Butter a 10x15" baking sheet. Combine the dry ingredients. Cream the butter and brown sugar. Add the molasses, then the egg and egg yolk. Stir in 1/2 c. candied ginger, then mix in the flour mixture. Spread in the baking sheet and bake at 350F for 18-22 min. 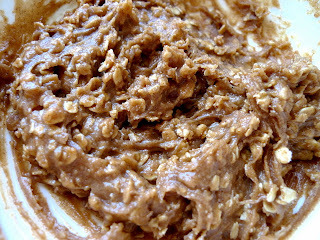 For the icing: Combine the brown sugar, milk, and butter over medium heat. Cook till the butter melts and sugar dissolves. (I just did this in the microwave) Remove from heat and whisk in vanilla and powdered sugar. Drizzle the bars with the icing and sprinkle with the rest of the candied ginger. Let sit 15 min. to let icing set then cut into bars. It was 8:00 one night and, although the past few nights had been cold, this particular night was quite warm. That gave me an idea and I thought, I just have to take advantage of the higher temperature. I'm going to bake some bread. Apparently, the fact that it wouldn't be done until almost 11pm didn't faze me. I wanted bread and by golly, I was going to have it. But, I didn't feel like making a loaf. 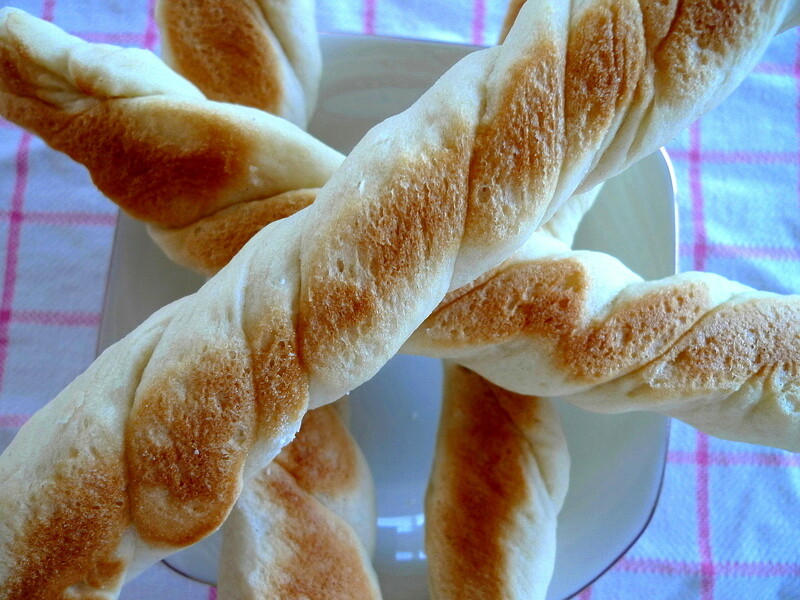 No, instead, I had breadsticks on the brain. I used a recipe I found on Our Best Bites and it did not disappoint. The breadsticks were perfectly chewy with a nice crust. They would probably be delicious dipped into some marinara sauce, or brushed with some garlic butter, or, Our Best Bites suggested also sprinkling them with cinnamon-sugar for a sweet treat. However way you make them, they're sure to please. Spray a glass or metal bowl with cooking spray and place dough in the bowl. 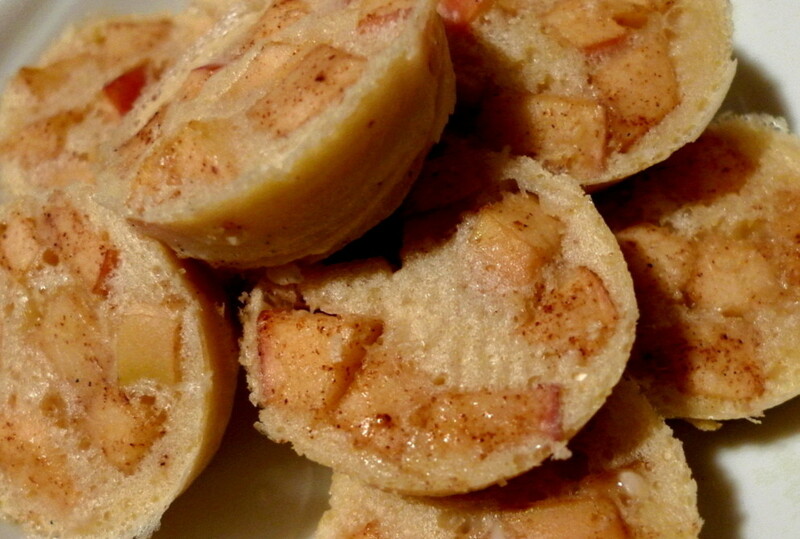 Cover and allow to rise for 45 minutes or until doubled in bulk. When there’s about 15 minutes to go, preheat your oven to 425F. When done rising, bake for 10-12 minutes or until golden brown. What a delight to bite into! Chocolate chip cookies are a classic. 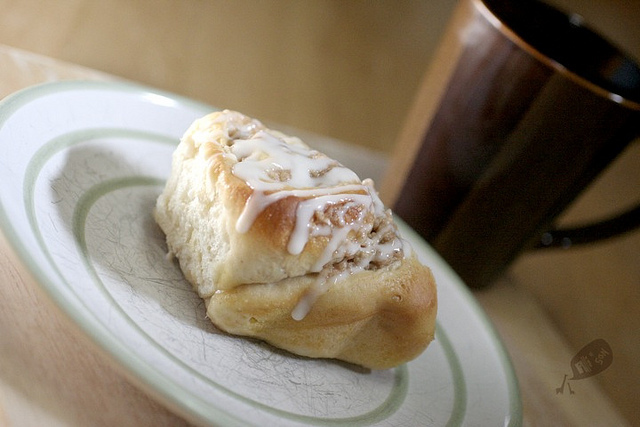 These take cinnamon rolls to a whole new level. Oh how I love pumpkin time! Wow, it's already week three of the 12 Weeks of Christmas Cookies. The past two weeks I shared recipes that featured the chai spices. This week, it's cinnamon front and center. I started with Martha Stewart's biscotti recipe as a base then added cinnamon, crushed cinnamon cornflakes for crunch, and finished them off with a sprinkling of cinnamon sugar on both sides for one last cinnamony touch. 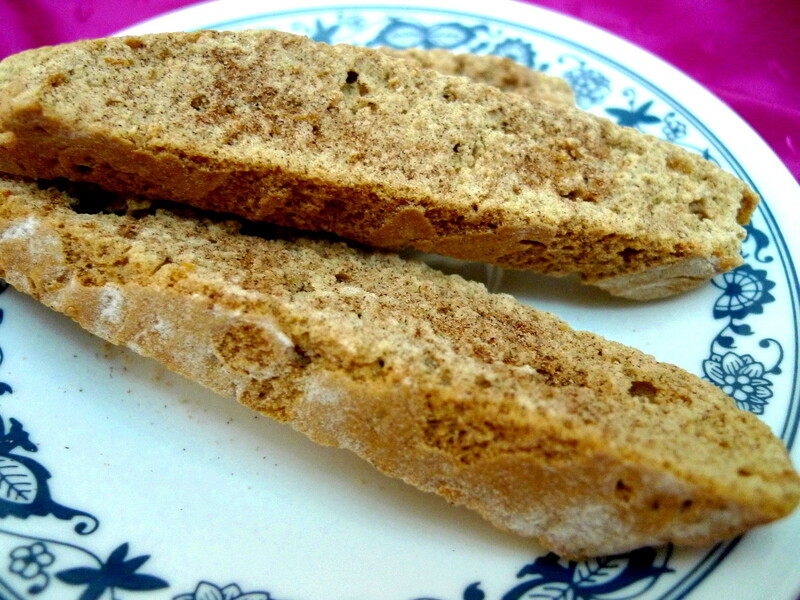 The final biscotti were packed with flavor and would be perfect with a cup of hot spice tea. The only problem I had was that the cinnamon cornflakes didn't have as much crunch as I would have liked; maybe Cinnamon Toast Crunch cereal would be better. I think once I've honed this one it will definitely make an appearance on my Christmas platters. Cream the butter and sugar. Add the eggs and vanilla and mix till well blended. Stir in the flour, baking powder, salt, and cinnamon. Stir in the crushed cornflakes. Sprinkle some flour on a baking sheet. Form the dough into two 14x2 inch logs on the baking sheet. Bake at 350F for 20-25 min. Remove from the oven and slice immediately with a serrated knife into 1/2" thick slices. Lower the temperature to 325F. 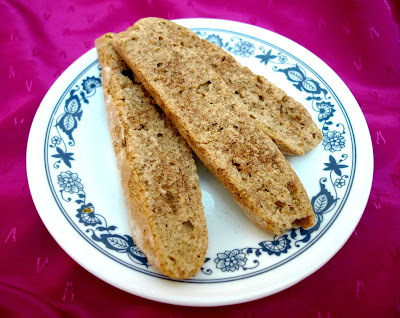 Lay the biscotti cut side down on the baking sheet and sprinkle the top side with half the cinnamon-sugar mixture. Bake for 15 min. 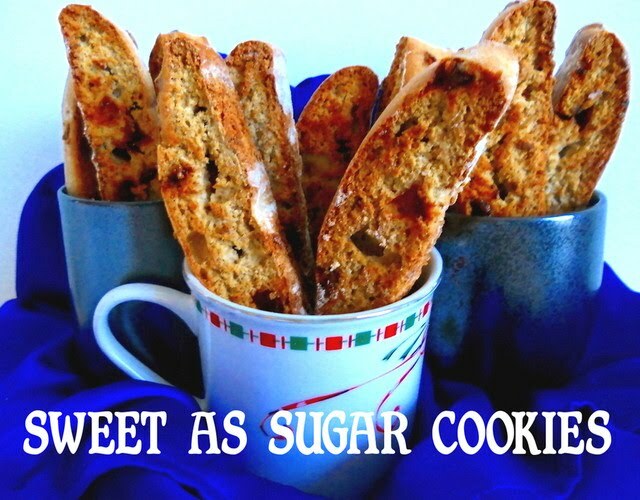 Flip the biscotti over, sprinkle with the rest of the cinnamon-sugar mixture, and bake for another 15 min. until crunchy. When I was a kid, I remember how I only liked bread if it was white, and, of course, that meant the squishy, air-filled, breads you find in the supermarket aisle. Thank goodness my palate has since changed and I've grown to love breads of all kinds and flavors and textures. Yup, those supermarket breads no longer have a presence in my home. Now only fresh, homemade bread appears on my table and it's anything but plain white. I specifically search for recipes that are full of something special that will wow the tastebuds, and boy do I ever have a lot of recipes all queued up just waiting to be made. 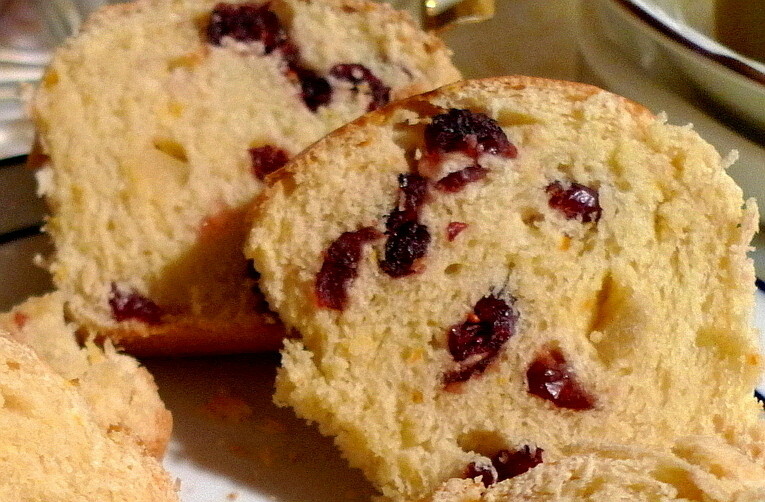 This time, since dried cranberries were super cheap, I decided to make this Cranberry Bread found on The Avid Baker. It's got that delicious combo of cranberries and orange, but this time in a yeast bread instead of a quick bread. Naturally, I couldn't resist dressing it up just a little with some candied ginger. I just knew it would pair well with the flavors. I just loved how this bread was studded with fruit in every bite and the orange was not at all overpowering. That's just how I like it and the ginger also added a yummy touch. Not to mention that the egg glaze turns the crust into something truly superb (I could nibble on that alone and be happy). The bread is a little denser than others which probably means that it would make one fantastic french toast too. With breads like this, who needs storebought? I definitely can't wait to bake bread again. Combine the milk and the yeast with a pinch of sugar and let sit till foamy, about 5 min. Add the melted butter, egg, orange juice, and orange zest and stir until well blended. Add the flour a half cup at a time until the dough no longer sticks to the side of the bowl (you may need to add a little more - the dough will still be tacky though). Transfer to a floured work surface and knead the dough until smooth and slightly tacky, but not sticky, adding more flour if necessary, about 7 min. Knead in the dried cranberries a little at a time. You can also knead in the ginger now or see below for what I did. Form the dough into a ball. Oil a large bowl. Add the dough to the bowl, turning to coat with oil. Cover bowl with plastic wrap, then towel. Let dough rise in warm draft-free area until doubled in volume, about 1 1/2 hours. Grease two mini loaf pans. Punch down the dough. Turn dough out onto a floured surface and divide into two pieces. Roll each piece out into a small rectangle. 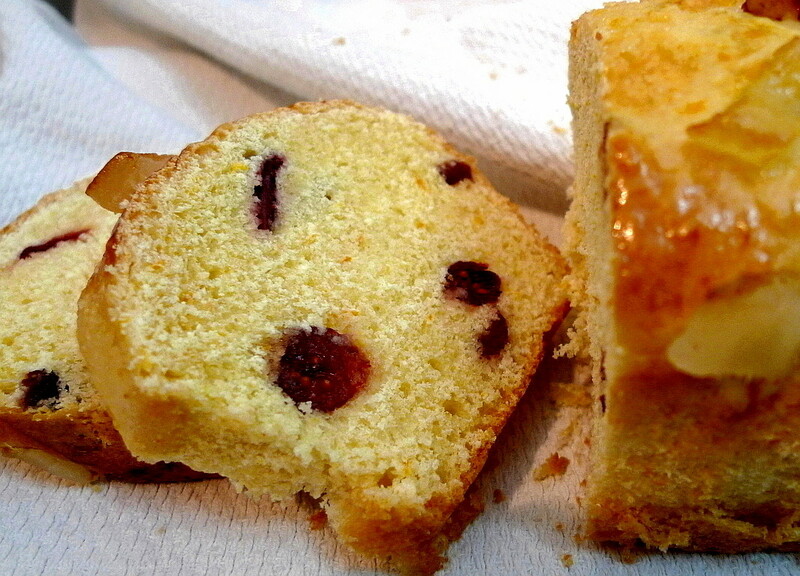 At this point, you can sprinkle the ginger on top and then roll it up jelly roll style and put it into a mini loaf pan. Repeat with the other piece of dough. Cover with plastic wrap and let rise about 1 hour until doubled in size. You can sprinkle more ginger on top if you wish. Glaze with the egg yolk + water. Bake at 350F for 25-30 min. Let cool in pans for a few minutes then remove to a wire rack to cool. I put my dough into the fridge overnight for the first rising. The original recipe called for 1/2 Tbsp. orange extract, but the orange zest + juice works just as well. The recipe above is half the original recipe which gave me two mini loaves. 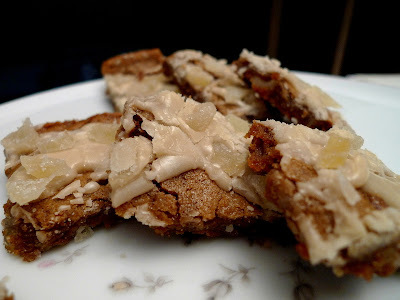 For this month's Secret Recipe Club, I was assigned to Judee's Gluten Free A-Z Blog. Since apples have been on sale lately, I decided to make her Dutch Apple Pie Pancake. I did make the following changes to it. Since I don't have almond flour, I substituted in all-purpose flour. I also chose not to cook the apples so that they would retain their crunch and add some contrast in texture. Finally, since I don't have a big family to help me eat this, I scaled the recipe down and made it in mini muffin form, hence the new name "Puffins" (pancake muffins). 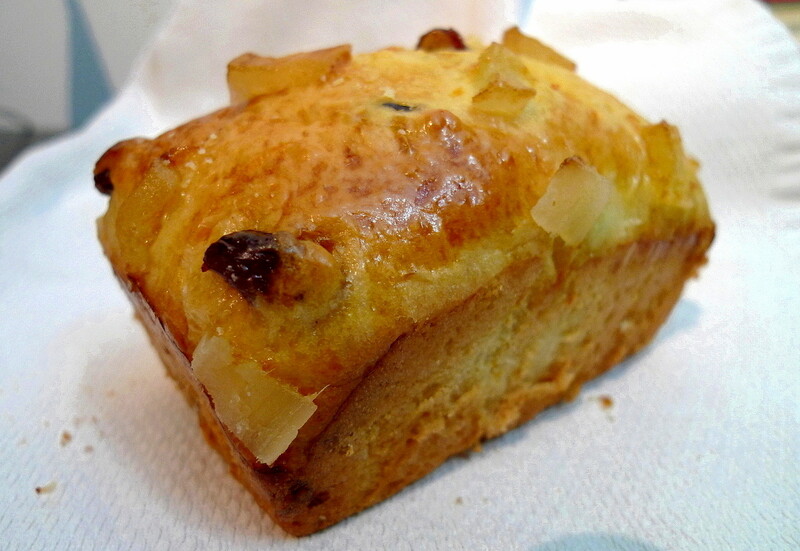 The little Puffins had a creamy, custardy texture to them, akin to clafoutis. The apples added a nice bit of crunch and, since the puffins weren't too sweet, it made them perfect for enjoying with a little maple syrup to dip them in. Thanks for the recipe Judee! Preheat oven to 425F. Dice the apple and mix it with the brown sugar and cinnamon. Set aside. Combine the egg, vanilla, and milk and whisk well. Whisk in the salt and flour. Grease a mini muffin tin. Put a teaspoonful of apples into each cup. 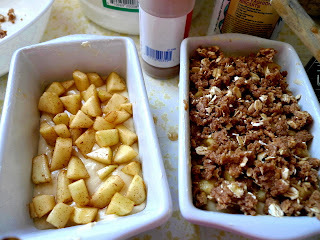 Pour a tablespoonful of the egg mixture over the apples. Bake for 15 min. or until set. 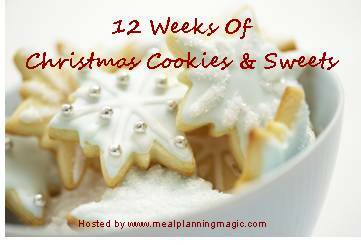 It's time for the second installment of the 12 Weeks of Christmas Cookies. True to form, I bring you another spice cookie. 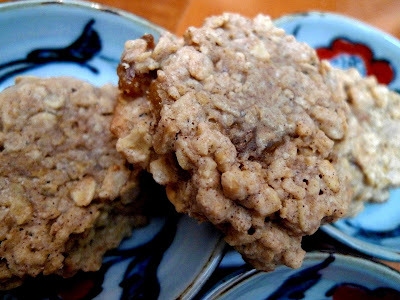 I used the chai spices once again, but this time in an oatmeal raisin cookie. The recipe comes from Amandeleine and it is awesome. The wonderful blend of spiciness shines through these cookies and the golden raisins I used melded really nicely with it. 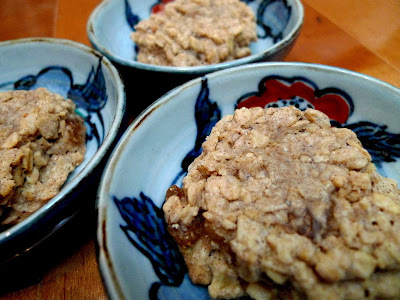 Plus, with all those oats in them, these cookies are super healthy which makes them the perfect treat for balancing out all the yummy indulging that goes on during the holidays. Cream together butter and sugars until fluffy. Beat in eggs and vanilla. Combine the flour, baking soda, salt, and spices. Add the dry ingredients to the sugar mixture in two additions, beating until just combined. Stir in oats and raisins. Preheat oven to 350F. Line two baking sheets with parchment paper. Drop dough in rounded tablespoons onto baking sheet. Bake until golden brown, 10-12 min. 1. I completely forgot to add in the baking soda. 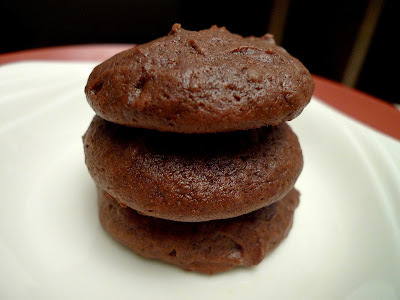 The cookies still turned out deliciously chewy and yummy. 2. Amandeleine says that you can chill the dough before baking it. I omitted this step and they still baked up perfectly.